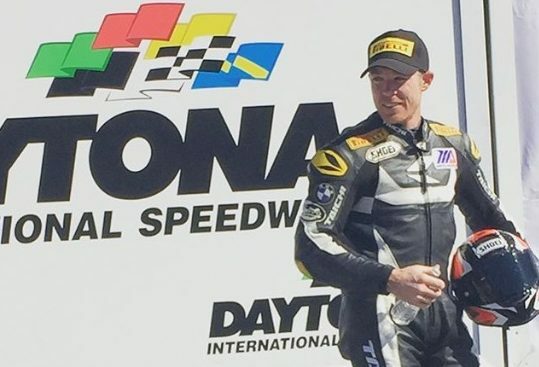 MotoAmerica racer Cory West will race in the upcoming Daytona 200. Arkansas native Cory West, who raced to eighth in the 2018 MotoAmerica Supersport Championship with two podium finishes, has signed with Central Florida-based team Squid Hunter Racing to race in the 2019 Daytona 200 on March 16. West was introduced to team owner Peter Strack through mutual friend Hawk Mazzotta, who is himself a retired American Motorcyclist Association racer. Coming off of two national championships and four regional titles in club racing last season, Squid Hunter Racing believes they have the equipment to put under West to compete for a win. Squid Hunter purchased a brand new 2018 Yamaha R6 for West to ride in the Daytona 200. Off the track, co-owner Jordan Strange has worked long hours to get the bike and its crew dialed in for success in the Daytona 200. “We are holding nothing back and being very analytical to ensure proper performance out of the new machine,” says Strange.